Cameroon’s Prime Minister Philemon Yang on Monday began a visit to a troubled English-speaking region as part of what he termed a “dialogue” with the country’s anglophone minority, state radio said. 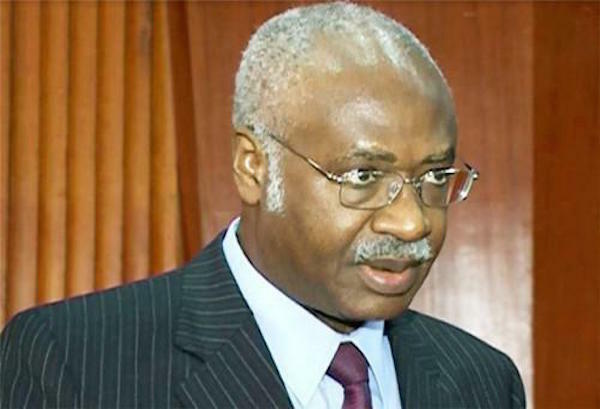 Yang travelled to Bamenda, the main town in Cameroon’s Northwest Region, where he met the heads of trade unions in the transport, education and shopping sectors, as well as with bankers and other business figures, Cameroon Radio Television (CrTV) said. He delivered “a message of peace and living in harmony” while those who met him put forward proposals “for a definitive way out of the crisis,” it said, without giving further details. Cameroon, a francophone-majority nation in central-western Africa, has a large anglophone minority, comprising about a fifth of its 22 million population. Gathered mainly in two regions, many English-speakers complain they suffer inequality and discrimination. Their resentment has fuelled a breakaway movement that on October 1 culminated in a symbolic declaration of independence, creating the putative state of Ambazonia. The government, firmly against secession or more moderate demands for federalism, has carried out a crackdown. Amnesty International says more than 20 people have been shot dead by security forces, and at least 500 detained. According to an AFP tally, at least 14 people died. The authorities give a toll that varies between 10 and 12 dead. Yang, who is from the Northwest Region, went to the area “at the express instructions of President Paul Biya,” CrTV said, adding that he would continue his visit on Tuesday. A statement issued by Yang’s office said Biya had asked the prime minister to send “elite delegations” of anglophones to the English-speaking regions to “have a dialogue” with the population and deliver “the president’s message of peace and goodwill”. In a post on Facebook, Felix Agbor Balla, a barrister who heads the Cameroon Anglophone Civil Society Consortium (CACSC), an NGO outlawed in January by the government, lashed out at the visits as a “provocation” given the scale of the crackdown. UN Secretary General Antonio Guterres has called on Cameroon to probe the violence. The anglophone minority is a legacy of European colonialism that saw the country split between Britain and France after the defeat of Germany in World War I.